For a newbie to keeping of ornamental fishes my advice is to go in for a bowl in the first instance and get the feel of the tasks involved. Even if you later graduate to a full scale aquarium of ornamental fishes still you can keep your very special pets like a gold or a fighter in it. There are goldfish bowls available in various sizes and shapes in the pet stores. Select a container of your choice, bigger the better as it will be roomy for the pet. If you are in Rome forget keeping pets in a bowl as I understand it is against the laws. They are unbreakable and stand handling and cost very less compared to glass ones. However they have to be replaced when they turn opaque over long use. 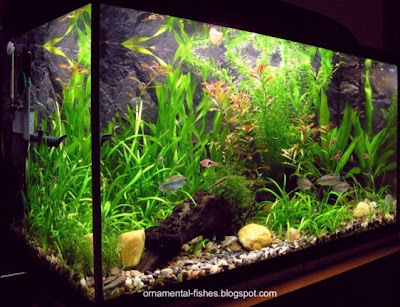 Aquarium for ornamental fishes nowadays come in two types: acrylic and glass. 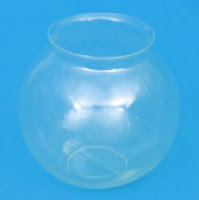 Glass tanks for fishes are relatively cheaper and come in different shapes and sizes. But glass tanks are heavy and crack and break easily. Bowls are also available in plastics and if you are in US you can order them from www.akron-novelty.com/. However acrylic tanks for fishes are costly and they scratch easily but we need not worry about breakage and cracks. A tank of the size of 2'x1'x1.5' will be ideal for a newbie.